For the main course of this three course meal I’ve chosen a hearty 14-book trilogy. I warned you that many of the books I love and turn to when I need a good book are NOT comforting in any way, and for many people the incredibly long, epic series, the Wheel of Time, definitely falls into the UNcomfortable category. This is for a variety of reasons. 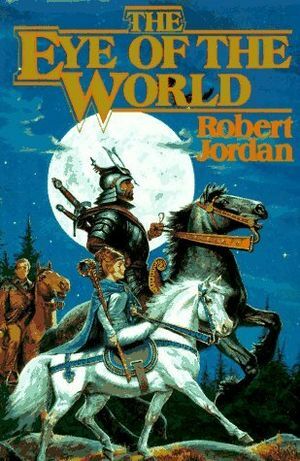 The Eye of the World was the opening volley in what would ultimately become one of the most controversial series in epic fantasy. 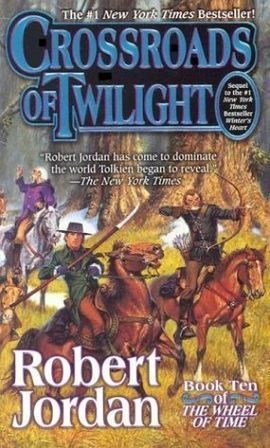 Written by Robert Jordan and first published in 1990, this series of books has polarized the most dedicated fans of true fantasy into two groups: the lovers and the haters. No reader walks away from this series unscathed. The story begins in the exceedingly rural village of Emond’s Field. They are so rural that they have no concept that they are still considered to be a part of a larger country. The village is suddenly attacked by Trollocs (the antagonist’s soldiers) and a Myrddraal (the undead-like officer commanding the Trollocs). These creatures are intent on capturing the three protagonists, Rand al’Thor, Matrim (Mat) Cauthon, Perrin Aybara, although why they are being hunted is not revealed at first. To save their village from further attacks, Rand, Mat, Perrin, and Egwene (Rand’s first love interest) flee the village, accompanied by the Aes Sedai Moiraine Damodred, her Warder, Al’Lan Mandragoran, and gleeman, Thom Merrilin.They are later joined by Nynaeve al’Meara, who is their village’s medicine woman. This huge range of characters and the many, many threads that weave an incredibly tangled plot are what polarizes the reading community over this series of books. Originally intended to be a trilogy, it eventually expanded to encompass fourteen LARGE, long books. 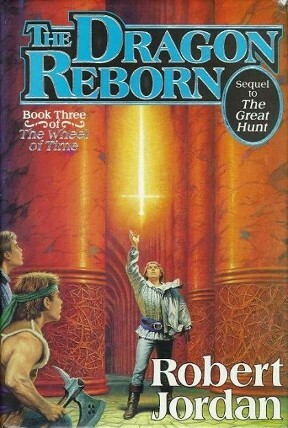 Robert Jordan passed away in 2007 while working on the final book, leaving the series uncompleted, but he left the rough draft and enough notes behind that Brandon Sanderson was able to finish the series, eventually breaking that final volume into three very large books, and bringing the story to a satisfying conclusion. I loved the first three books in this series. 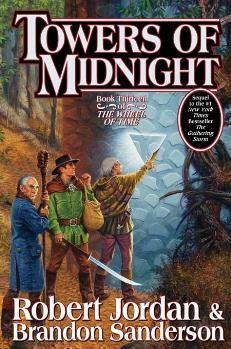 I both enjoyed and endured the next three, hoping Robert Jordan would get to the point and finish the damned series. I had become a little irritated with book eight, Path of Daggers, but by the time Winter’s Heart came out, I was resigned to never seeing an end to it, and was back to simply enjoying each strange plot twist and new random thread for what it was–just a great tale. 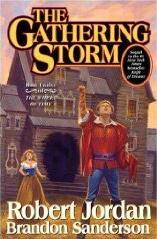 When Robert Jordan died, I was thrilled that Brandon Sanderson was the author tapped to finally bring that unwieldy mess together. There were so many different stories within the greater story that the task of winding up each thread must have been incredibly daunting, and he did it magnificently. 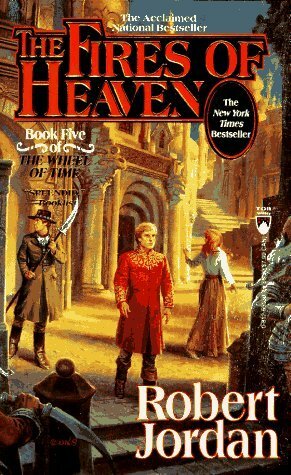 The reason so many devoted fans abandoned the series somewhere around book six , Lord of Chaos, was that Rand al’Thor’s story ( and Mat’s and Perrin’s) stalled, and Jordan was sent way off track by the stories of Egwene, Nynaeve, and Elaine Trakand. In fantasy, there is a large contingent of readers who want instant gratification are not going to wait around for eight more books. They proved it by jumping ship and trash-talking his work. Throughout the series, the quality of the writing never faltered. The depth of story and the intensely alive characters whose stories graced those pages never failed to intrigue me. The fact that it felt like the conflict would never be resolved was, at times, upsetting to me as a reader, and is a lesson authors should take to heart with their own work. 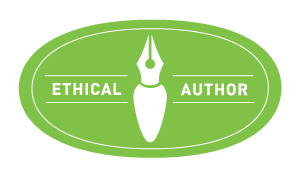 To write a story that is so compelling that readers become so violently polarized over it is quite an accomplishment. I see this happening with George R.R. Martin‘s fans right now. Although I adore him as a person, I’ve never cared much for his style of writing, as he jumps around too much even for me. Have patience, people! It looks like George has a large story there too, so it may take him a while. For Brandon Sanderson to step into the wasps’ nest of controversy that was the Wheel of Time and complete the series with such grace and finesse is nothing short of amazing, and I am glad I stuck with it to the end. 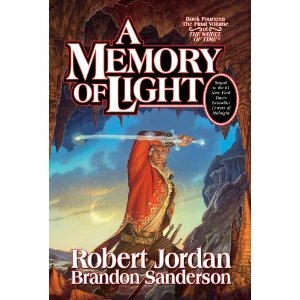 Brandon Sanderson has become one of my favorite authors because of what he did to wind up this epic series. In the end, the final resolution was satisfying, and was well worth the journey. I have gotten rid of most of my hard copies, and am down to only one room’s worth of hardbound books at our house. I don’t buy too many hard copies of books, being a fan of the Kindle, and but I did make an exception for this book. For me, some books need to be in hard copy form and the Wheel of Time Series is one of them, as are the Harry Potter books. 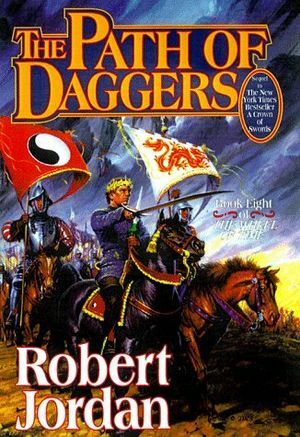 There was a large contingent of people who were upset that the epub edition wasn’t released until 4 months after the paperbook, but this was a choice made by Robert Jordan’s widow and her publisher, TOR. It was a strange one in my opinion, but it was their choice. Amazon’s early reviews of the later books in this series were rife with trolls and naysayers who couldn’t wait to emerge from the woodwork and have their say. Apparently very few of these people purchased the book, much less read it. That is the price of success and these days it’s almost an honor to have so many haters just spoiling to knock you down. But their strident caws and self-important rants should have no effect on the true fans of WoT. In my humble opinion these works are masterpieces and Brandon Sanderson’s three books are a triumphant finish to the series. I love Brandon Sanderson’s handling of this series finale, and feel I more than got my money’s worth from this series of book, as I will definitely read it again and again–in my opinion it’s that good. 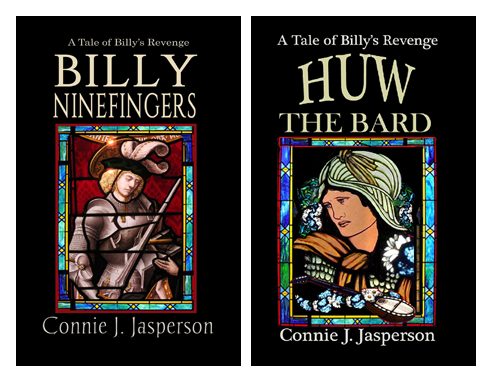 If you love this series, you will love the way it ends! The original cover artist for these amazing books was none other than the late Darrell K. Sweet, who was just as amazing a fantasy artist as is Michael Whelan. The newer covers are nice, but for me they lack the power of Sweet’s brilliant paintings. And as we all know, I buy most books for their covers, even epubs, and then fall in love with the tale.